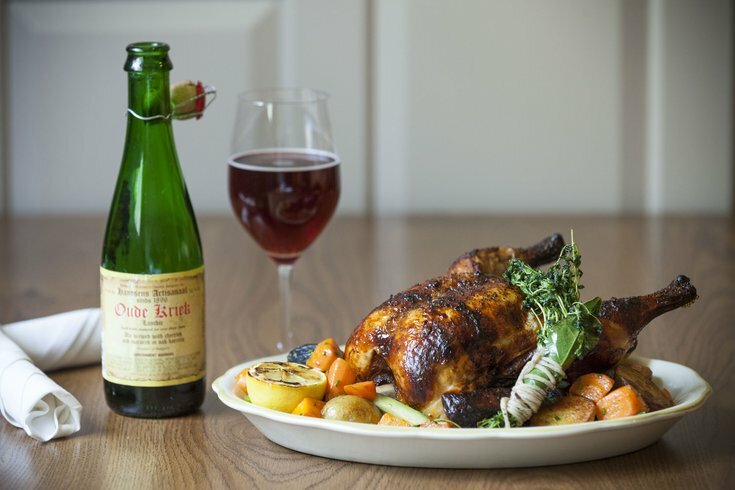 Rotisserie chicken and a bottle of Oude Kriek lambic. Once the holiday season is over, there's still something to look forward to this winter. The first Center City Restaurant Week of 2017 is quickly approaching. The event will take place on Jan. 22-27 and Jan. 29 through Feb. 3. During the two weeks, close to 125 Philly restaurants will offer three-course dinners for $35 per person. A few places also offer a three-course lunch special for $20 per person. The full list of participating restaurants can be found here. Most reservations can be made through OpenTable. Spots tend to fill up quickly, so booking early is recommended.